Do you love the fun and exciting element of weddings? Perhaps it’s the couples love for one another you’re so obsessed with? There are so many great reasons why people become wedding planners and why you may be considering changing your profession and getting into it yourself. We know it can be scary changing your career, especially if you’re in a comfortable job but becoming a wedding planner may be one of the most rewarding aspects of your profession so far! We’re here to let you know how you can become a wedding planner and what it takes to become the best in the business. 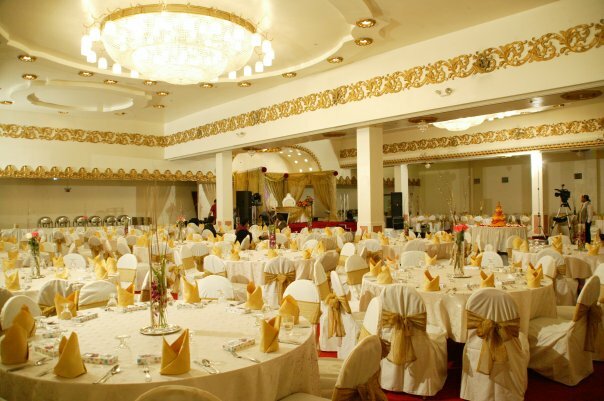 The purpose of a wedding planner is to help organize and plan a couples wedding day. They work alongside the couple to see how they would want their dream wedding to be, and then they make their wishes a reality. As a wedding planner, you could be planning the entire day including choosing the bridal dress, bridesmaids dresses, flower girl dresses, wedding shoes, wedding flowers and other things that would make the day meaningful. Those who hold the right skills can create the perfect wedding planning environment meaning they get more customers and couples asking for their planning skills. Couples typically invest in a wedding planner if they’re unsure of how to organize things themselves or if they have highly stressful jobs in that they won’t have time to plan their own big day. You definitely don’t need to go to college to become a wedding planner! You can get your previous experience from someone you know or perhaps just ask around if anyone knows someone who organizes events. It is optional if you want to go to college and get a bachelor’s degree in event planning as it’s not necessary. Later in your degree, you can also choose optional modules in which some of them cover weddings and ceremonies so you will be suited up to plan and organize any big day after then! After you’ve decided to become a wedding planner, there are three steps to having your dream role. It takes a lot of time and patience, but it will all be worth it in the end. Whether this is formal training at a college or taking an online course, you will need the skills to be a wedding planner which means you’ll need to train for it. If you choose to go to college, you’ll most likely learn about other aspects of event planning too which means you can branch out later in life if you wish. Helping people you know to plan their upcoming weddings or contacting a current wedding planner will mean you’re able to get the experience necessary for you to become the best. Before you know it, you’ll be able to start planning and organizing weddings for yourself. Ensure you’ve got your budget planner and all the fancy wedding planners as during the beginning it may be hard. However, soon enough you’ll be loving every second of making couples dreams come true. Join the discussion on this topic with Cupcake Digital by visiting our contact page.